A manifesto from Scotland with implications for educationalists everywhere. In partnership with the Scottish Inspectorate of Schools, IFF worked with a wide variety of educationalists, practitioners, policy makers and others to explore how transformational change might be achieved. As a result, IFF developed significant new resources to support transformative innovation in a highly decentralised, bottom-up, system-wide approach. Powerful frameworks for moving from insight to action developed by Jim Ewing are described in a substantial new addition to the original text on 'practical approaches to transformation'. The permissive policy framework set in Scotland by Curriculum for Excellence, which invites transformational change in the education system, has now attracted positive attention in different parts of the world - particularly the US, Asia and Australia. The 'three horizons' framework on which the book and the reform programme is based allows everyone free rein to share their concerns about the present system, to admit deeper aspirations that might be frustrated or under-realised today, and to design a 'second horizon' transition strategy to shift the system in that direction. This is not 'blue skies visioning' but hard-headed engagement with often uncomfortable facts about changes in the real world. But it also allows space for inspiration. 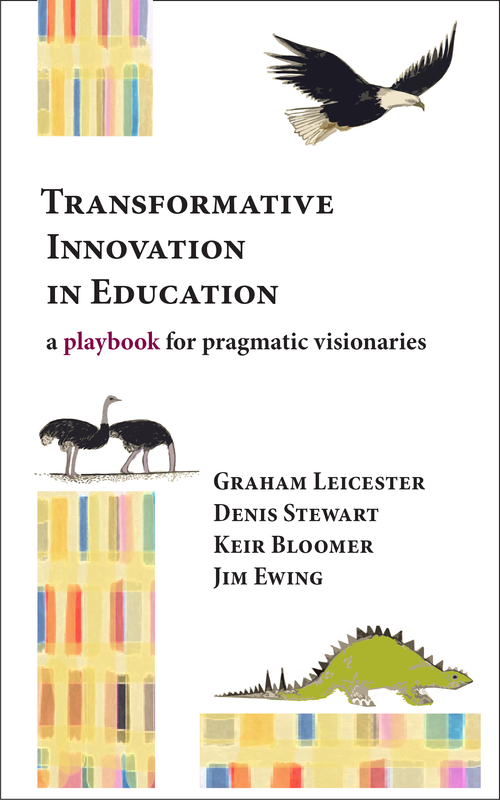 recommendations for a policy framework to encourage transformative innovation in education: 'making shift happen'.